Repertoire for Good Friday by Victoria, Jonathan Weeks, Schutz, Leighton and Drayton with the BBC Singers. 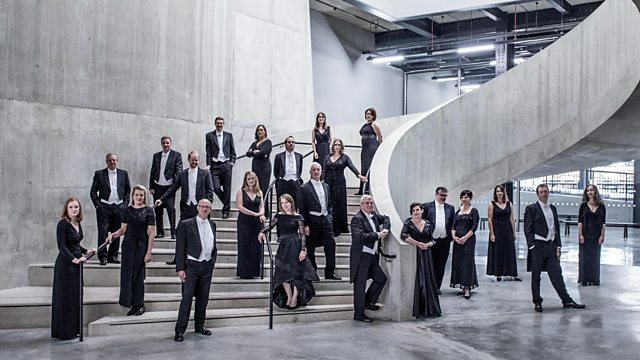 Also Our Classical Century: Britten's War Requiem - Agnus Dei. Performer: BBC Singers. Conductor: James Weeks. Performer: BBC Singers. Conductor: James Weeks. Narrator: Andrea Hall. Choir: BBC Singers. Conductor: Paul Spicer. Performer: Richard Pearce. Choir: BBC Singers. Conductor: Martin André. Singer: Peter Pears. Choir: London Symphony Chorus. Orchestra: London Symphony Orchestra. Conductor: Benjamin Britten.